In support of the International Day Against DRM event by the Free Software Foundation’s Defective By Design campaign, Bibliomania, my novelette about a dystopian future where paper books are outlawed and DRM is mandatory, is free today at Kobo Books and Smashwords, and on sale for 99 cents at Amazon and Barnes and Noble, where they don’t appreciate such sponteneity. 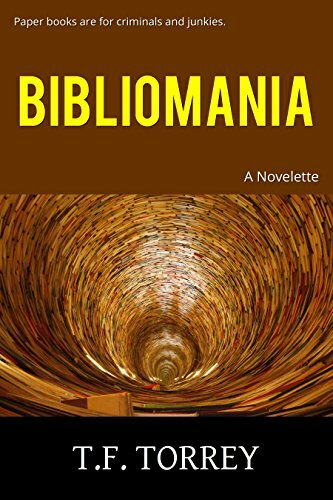 Get your free copy of Bibliomania now! Even if you already have it on one platform, get it on the others! Then head over to Defective By Design to learn more about the dangers of DRM and what we can do to stop it. And as always, tell your friends.